For those that don’t know much about carpentry, you would assume that custom carpenters only utilize a select group of materials to work with. For instance, wood is a very popular medium for carpenters to use in order to construct chairs, tables, cabinets, custom shelves, and so much more! But, the contrary is true; expert carpenters are actually masters of many different kinds of materials and are able to manipulate them to fit their client’s needs. In this blog, we will be discussing some of the materials our carpenters, at Dennis Boatworks, use and work with on a daily basis. But having a better understanding of the different materials we use, perhaps you can get inspired and request some of these materials for your yacht or marine vessel. As stated, wood is by far the most common material used in carpentry. Why? Well, wood is extremely malleable and can be formed into anything you want. If provided with sturdy supports, it can hold up for many years and be used by many different people. The only issue with wood carpentry is that it doesn’t withstand the elements very well. Moisture will often cause the wood to weather and eventually deteriorate if it is not coated with a strong sealant or finish. With this being said, wood does not withstand marine conditions very well and is commonly substituted with a different material. 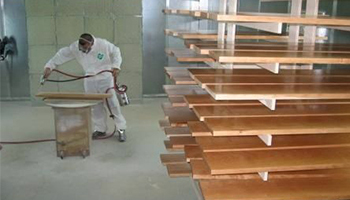 If wood is used on a marine vessel, it will typically be coated with a shiny finish to preserve the wood underneath. Fiberglass is a reinforced plastic that is composed of glass fibers that are embedded in a resin mixture. Fiberglass is by far the most easily manipulated material and is very popular among marine vessels. Fiberglass can be an advantageous medium for both interior and exterior projects. Because of its versatility, it is one of the most popular mediums Dennis Boatworks uses for our structural projects. Plastic is a very broad medium to work with, especially in modern-day carpentry. Plastic can be updated and combined with other types of material to create an entirely new form of plastic. For instance, Dennis Boatworks is able to use and create projects with over five different types of plastics. Plastics are valuable materials, especially in marine carpentry, because they can withstand the tests of time and weather. Not very many materials can hold up against salt water as well as some of the plastics we use. If you have a marine vessel, plastics are ideal for exterior features and projects. 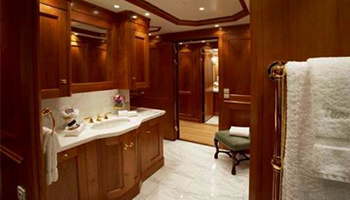 If you would like to remodel your yacht’s kitchen or bathrooms, you may want to install marble or granite countertops. At Dennis Boatworks, we understand that our customers want the very best when it comes to the material used for their vessels. Marble or granite countertops are by far the most desired countertops for modern-day kitchens and bathrooms. Why? Well, not only do these types of countertops have a sleek design, but they are extremely easy to clean and maintain. Due to the fact that Dennis Boatworks is a full-service carpentry service, we are able to remodel your kitchen and bathrooms and install whatever materials you would like aboard. Upon request, we can receive your desired color of marble and cut it based on the design you want for your yacht’s kitchen or bathroom. 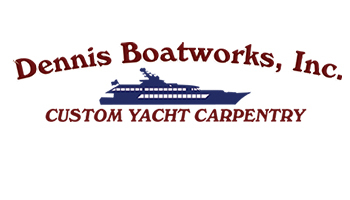 At Dennis Boatworks, we are a team of expert carpenters. We do not take the term ‘expert’ lightly. 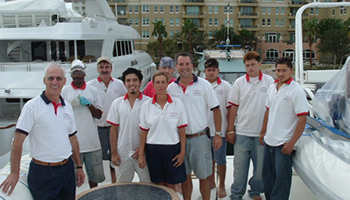 Many of our team members and staff have had years of experience working with many different materials. 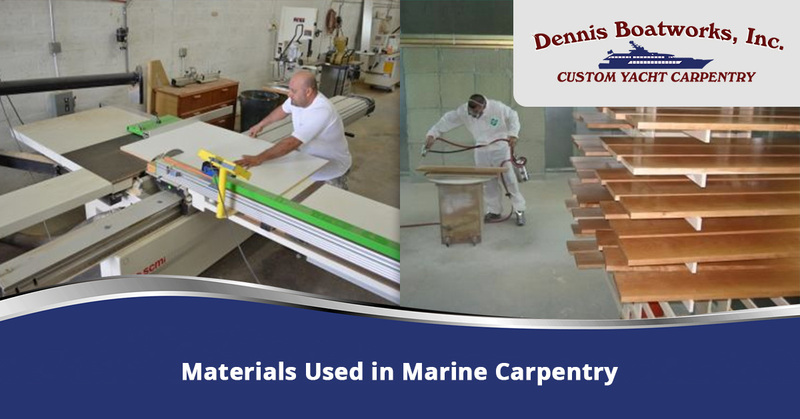 If you are interested in custom marine carpentry, contact Dennis Boatworks today!